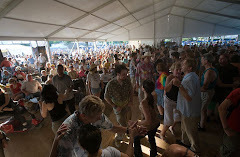 Saturday morning before the Blues festival there will be a free Zydeco dance workshop covering Intermediate moves and advanced Louisiana style slides. These moves are often seen at the bars and festivals in Louisiana & Texas. Video Practice Link: If you would like to practice the basics of the slides before class please click on the following link..
What I truley love about Zydeco is the spirit & attitude it brings out. Here is a clip from the Bill Picket Trial Ride in Beaumont Texas... 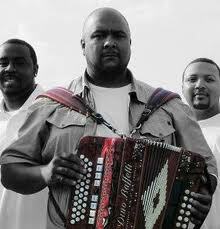 I have had many Zydeco adventures over the years but I have not done a trial ride.."yet"..
Keith Frank put out a new double CD called Follow the Leader/Boot Up. 13 tunes on the Boot Up CD and 17 on the Follow the Leader. From the shear vast number of tracks you are guaranteed to find several to meet your Zydeco addiction..
Zydeco 2-Step with a Mexican music style to it which is great. He sings a bit of the tune Spanish and then English which works really well. This is a great vocal track of Boozoo-isums. The late great Boozoo Chavis has a unique perspective which he often shared I often wish there was a little book of these so leave it up to Keith Frank to realize how special his words were and shared an actual audio clip of Boozoo sharing a few words of wisdom. A happy Zydeco tune reflecting on keeping with the traditional sound of Zydeco in comparison to other newer Zydeco which has rap style influences. 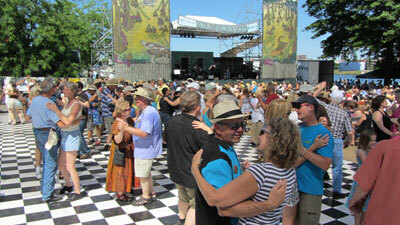 This year's Long Beach Bayou Festival has an incredible line up of Zydeco and Cajun artists. I am consistently impressed each year with the artists they are able to book and this year they blew my Zydeco dance stomping mind!!. From this line up I can already see that I will be lucky if I can walk back to my car after dancing all weekend ;).. 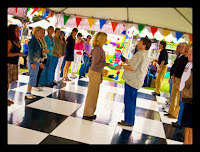 Check out their web site at www.longbeachfestival.com and hope to see you on the dance floor!